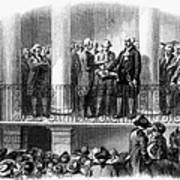 There are no comments for Washington: Inauguration. Click here to post the first comment. 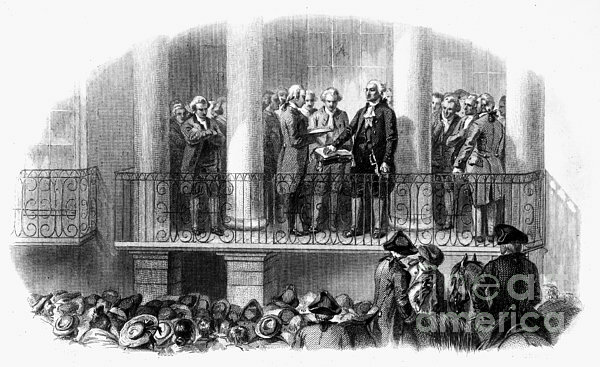 WASHINGTON: INAUGURATION. 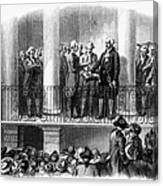 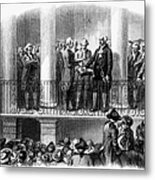 The inauguration of George Washington as the first President of the United States at Federal Hall, New York, 30 April 1789. Engraving, American, 1800s.